Let’s hope the judges do cause they’re looking for “excellence”. That part couldn’t be a simpler task, really, given that the level of competition for the AMBR is ridiculous. 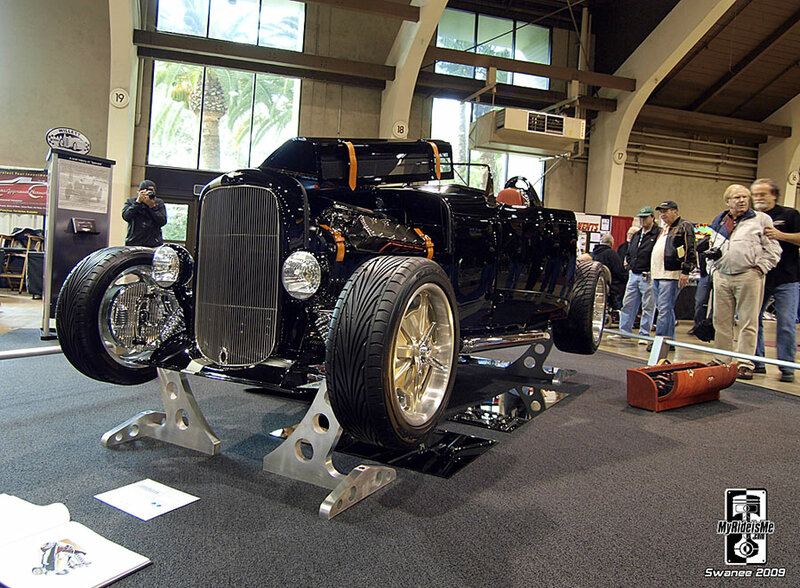 Pretty much every car in the main hall (not just the AMBR contenders) is a “Best of Show” winner at a regular show, but this is the “Granddaddy of them all” the Grand National Roadster show. 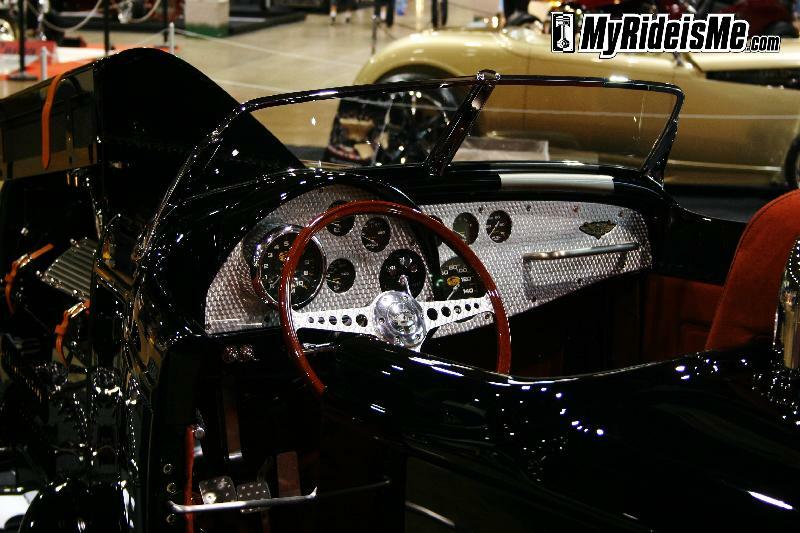 1932 Ford, all steel Roadster done in a 50’s period style with a 460 pony Viper V10 backed by a Tremec T-56 / 6speed. The Costco-like list of subtle body mods also features the more obvious custom fabricated belly pans and head rest. It’s all covered in double-black-back (wanna kiss myself, HEY!) period style paint. Everything rolls on kidney bean style 16 and 17 knock off wheels. Any other details are available at the builder, Harry Willett’s website, Willett Specials.com. 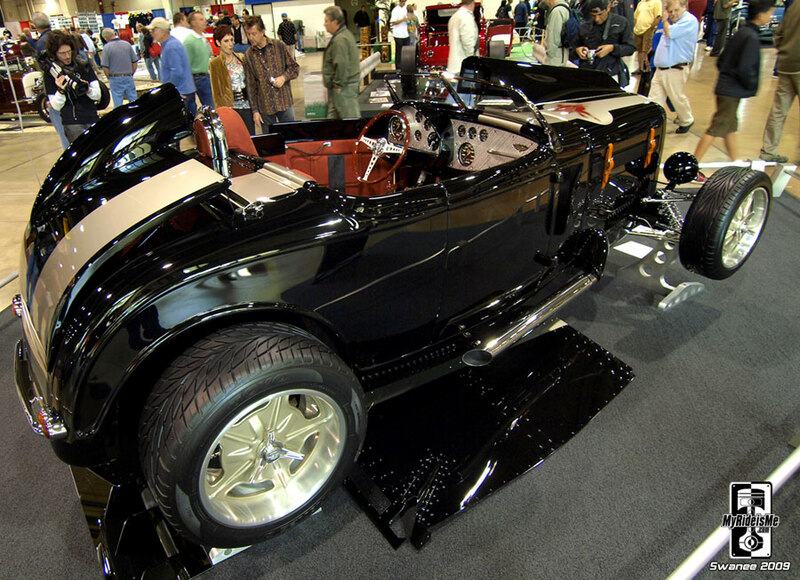 Now the debate begins, was this American’s Most Beautiful Roadster? You can be damn sure it’s one of them! A Rock N Rollin Hot Roddin Good Time!!! Man… it was a well-conceived, well-built car, with a distinctive theme, no doubt! The quality of cars just gets better and better, and it was even a blast to see a tue traditional car in the running with the Hot Rod Shop’s dragstrip terror on display! 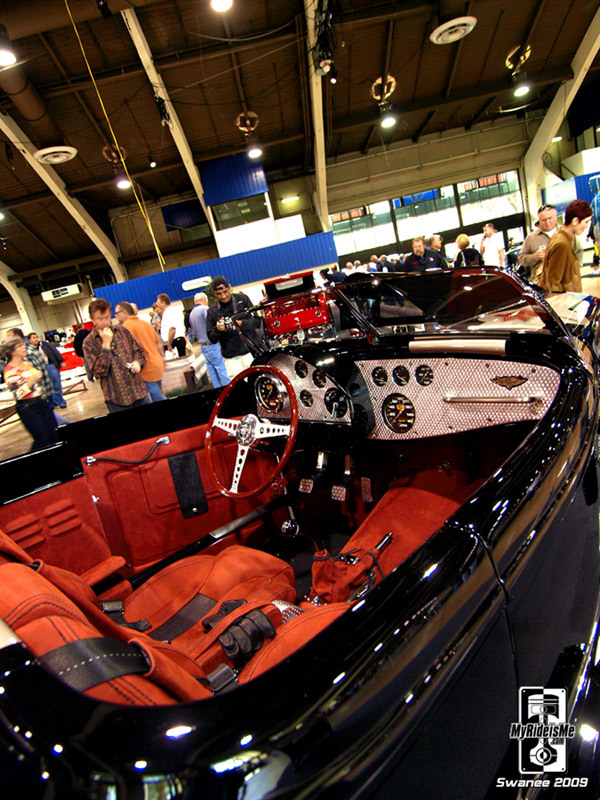 Can’t wait to see the 100’s of photos Swanee took at GNRS, and the galleries you’ll be putting up! Thanks again, guys.